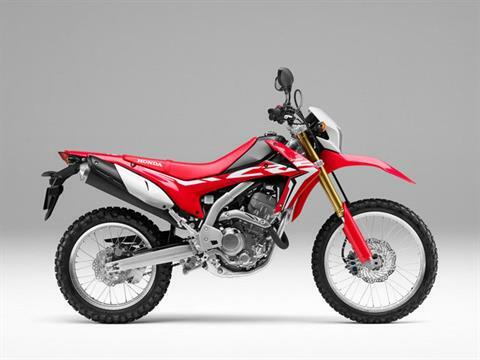 Honda's 250 cc class dual-sport is more than ready to take on exciting off-road challenges without giving up street-riding accommodations. The compact and sophisticated liquid-cooled DOHC 250 cc single-cylinder four-stroke powerplant produces smooth and consistent torque at low rpm to aid off-road work, yet the short-stroke engine also spins up excellent high-rpm performance for the street. 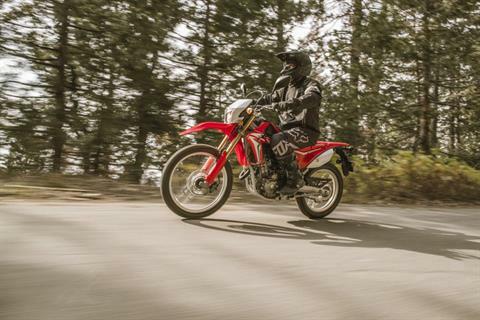 All through the rev range, the CRF250L pumps out a well-balanced and very capable level of power with good throttle response. 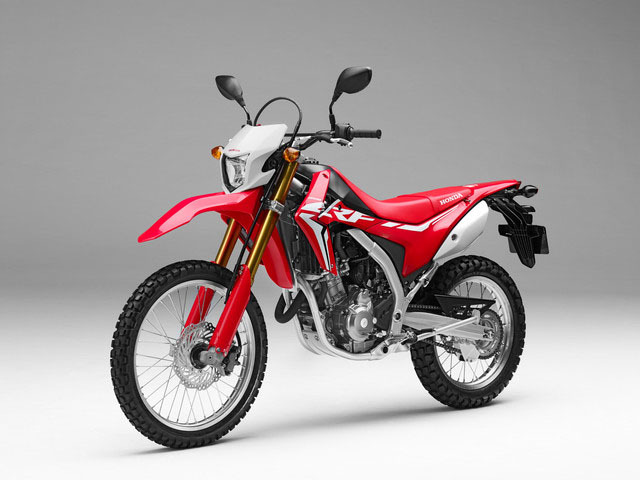 Its off-road-oriented chassis, which includes a long-travel 43 mm inverted fork and single-shock Pro-Link® rear suspension, makes the bike equally at home on city streets or country trails. 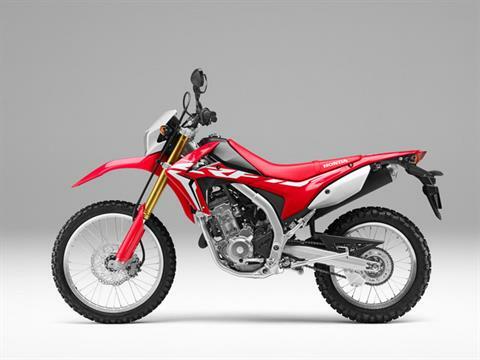 And with styling cues carried over from Honda's incredible CRF450R motocross bike, the CRF250L offers the full package, whether the day calls for low-cost transportation, a weekday commute or genuine dual-sport adventure. A 21-inch front and 18-inch rear wheel open the door to a wide selection of tire choices for everything from serious off-road trail riding to smooth on-road adventures. Digital instrument cluster gives displays all pertinent information, including: Speedometer, clock, twin trip meter, fuel gauge, and more. CRF450R-inspired graphics give the CRF250L aggressive looks. Inverted Showa fork features large 43 mm sliders for excellent handling in on or off-road conditions. Pro-Link® rear suspension delivers excellent comfort, traction and handling, while also improving rider confidence.